No one will reject a big smile as bright as an emoji style and that is exactly what Oclean One does to give you the confident smile and fresh breath with advanced technology. 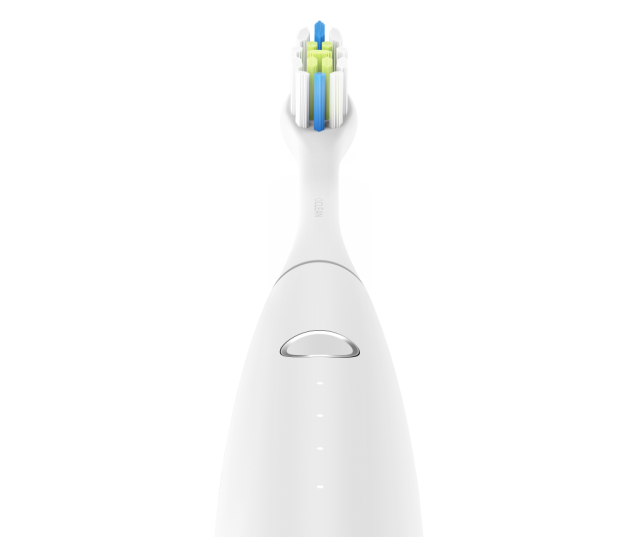 Oclean One Rechargeable Sonic Automatic Tooth Brush offers optimum comfort with truly deep cleaning for you with its high efficiency magnetic levitation BLDC motor and high density planing brush. The brush can clean teeth, whiten teeth, massage gums, prevent tooth decay, remove plaque and coffee stain. Oclean One, With over 72 types of personalized custom cleaning programs, you can use the APP to customize your own brushing mode according to your special needs, such as scale, brake teeth or special pregnancy care, to complete your route daily dental cleaning and take care of your gum health. The various high precision built-in sensors can detect your brushing gesture and other elements, and APP will analyze the data to give your brush feedback report. Compared with other toothbrushes, Oclean One is advanced by the full charge of 3.5 hours of fast magnetic charge, while the others charge completely from 15 to 20 hours. If you brush your teeth twice for one day and 2 minutes for once, 60 days is available.